One of our readers shared a wonderful story, enjoy! I wanted to share something that I experienced this evening. Actually, it started last night. 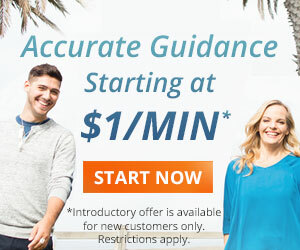 I had been reading the article Psychic Josepha had written about how to connect with your guides. I was reflecting on the fact that I had never really consciously tried to do so, and it made me sad sort of. I wondered about how much more in tune to my own spirit I could be right now if I had only taken the time to meditate, and to truly connect. As I sat in bed, thinking deeply about the longing I had inside, I started to cry. As the tears flowed, I asked that my guide(s) give me a sign, any sign, to show me that I would be ok, that all that I have been going through was for a greater purpose, one which I didn’t know. I fell asleep, thinking of the journey that our souls are on, wondering what that journey is like, and hoping for a sign. I don’t know if I dreamed that night, because when I woke up, I couldn’t recall any dreams, or insightful answers on my heart. I went about my day. This evening, I went outside to my car to charge my sons cell phone for him (the wall charger was left at a friends house) and as I sat in my car, with a small light on,… there appeared a ladybug on my leg. She appeared out of nowhere, from the dark, and proceeded to crawl around on me for the next 20 or so minutes. As a child I can remember always being fascinated with ladybugs. I actually have a huge aversion to all bugs, and cannot even let them crawl on me, but for some reason, ladybugs and butterflies are the exception to this rule for me. As I sat there in the dark car, with this tiny little guest, it came to me that this was my sign. I didn’t think about it, it just hit me. So I decided to ask the ladybug if she was my sign. She suddenly flew from my leg and landed on my chest. 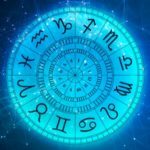 Each time I asked her if she was my sign, or if she was my guide, she would jump from one spot to another, and crawl around on me. It was magical to watch her. We sat in silence, and as a question would come to me, I would ask her. Then I felt as though she had fulfilled what she was there to do, to bring me some comfort, reassurance, confirmation and peace. So I asked her if she would like to go now. She flew to the arm of the passenger door and crawled around a bit. I put my finger down and she crawled onto it, and as I lifted her up, and gently opened the door, she sat there calmly. I got out of the car, and walked down my driveway, under the stars and the moon with her. When I reached an open area, I told her thank you and that it was ok if she needed to go now. With that, she flew away into the night. I walked into my house, sat my sons down, and told them what happened. They were amazed. And they believed it too. We just sat there, the three of us, sharing in that moment. It was awesome. I just really had to share. My boyfriend and I parted ways end of June. 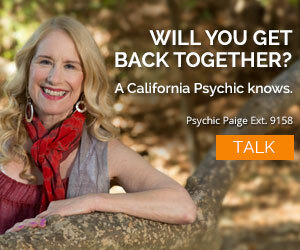 I called several gifted psychics, just knowing he was gone for good. I was assured, by each and every one of the psychics that I spoke to, that he was certain to return. And I was to prepare. Time lines given were last week in July, all the way through October. To keep me sane through my time of solitude, I asked for signs and I got plenty. Owls would talk back and forth in the middle of sunny days (happened again 2 days ago) A brick (of faith) showed up at the beach. My man’s name was showing up everywhere. Feathers appeared every place I walked. You get the idea. Plenty of encourging signs. Still, I am alone. But the possibility of his return to my life is still very real. Even though I only see him in passing. Only small talk, and very brief. So today, as I’m walking down the nature trail, where frequently the owls talk to me, about 50 yards or less in front of me, a tree suddenly decided to drop a 30ft branch to the ground. There was no wind to speak of, just aloud popping and cracking sound and then the crash as this large branch came tumbling to the ground. Now, call me crazy, but I’m a thinking that might be some kind of a sign. But what!! Help? Anyone got an idea??? Thank you so much for your comments on my ladybug story. I absolutely considered it a true blessing to have experienced the ladybug visit that evening. I didn’t realize that animals and insects can change our vibrational energy. But in thinking back to when that happened, I know I felt so much better afterwards, and have been “looking everywhere” since then, for more signs. I haven’t “seen” any, but my focus has been all off, and I know that too. I have even tried to talk to my guides. I wish I knew who they were, and if they really hear me. I must sound like a lunatic to them sometimes! lol! I do know that ever since the ladybug episode, I have looked at animals and insects in a completely different light. A bit off topic, but I want to thank you also for the reading last week. I really want to believe that “J” will come back into my life. I know you said I would hear from him over the weekend, but unfortunately, he hasn’t contacted me at all, since coming to get the tools. I know timelines are not set in stone, and I am trying very hard to be patient. I guess maybe one of my life lessons must be to learn how to be patient,….ha ha ha…because I have never really been a patient person. You, Gina Rose, Ms. Krystal, and a few others have all predicted a similar outcome that he will be back. I know there are so many of us on here, trying to be patient and let it happen. It truly is a struggle sometimes, to wait. I go through so many emotions…love, compassion, concern,…but always, eventually I end up in some form of anger and frustration. After that, I go into the doubt phase, which makes me feel panicky. Hence, a reading. Anyhow, again, thank you for always being so positive, upbeat, caring and patient with me. I have so much respect for what you and the many gifted and talented psychics at CP do. I will continue to look for more signs, and hope that my guides will continue to appear to me in whatever form is necessary. Hi Lucrecia, me too. I feel the same way. Thank you for sharing this sweet and beautiful story. I really wanted to turn that next page!!! Thank you so much for sharing your story! I love reading stories like yours! I, too, have recently (re)connected with my guides–one in particular, my brother–through nature. My brother who passed many years ago notifies me of his presence through birds. I am house sitting at a quaint little farm tucked into the New England countryside. Last night I was feeling particularly despondent over what feels to me to be the eternity I’ve waited for the man I’m in love with to reconnect with me. I went out onto the porch with one of my Doreen Virtue angel decks and decided to ask my brother to assist me in selecting some cards. I sat there for a while longer trying to take it all in. Just before I headed in for the night I allowed myself to push the envelope just a tiny bit more and said…”It’s not that I don’t believe that was you. But if it really, really, REALLY was…I’ll see one more bird before I go inside. I waited for a minute or two and nothing happened. I sighed, thinking I’d pushed my luck a little too far. And just as I started to rise to my feet, one lone hummingbird came to the feeder and looked my way first. I have no doubt whatsoever that ladybug WAS sent just for you, and asbolutely WAS communicating with you. I’m so delighted for you, and so grateful to you for sharing it here as it provided a powerful validation for me of my own experience yesterday. My ego will have a harder time now convincing me that it was all a case of wishful thinking. I’ll just think of you and your ladybug and remember that these experiences ARE very real. Thank you Lisa! When my mother passed away unexpectedly several years ago, I was on a beach in SoCal. At that time, I had no idea what had occurred, but I remember watching my husband as he played with our toddler in the waves and feeling an overwhelming sense of loss. At the time, I thought I was just having a slight panic attack over my son (thinking he might be carried out to sea by the waves if my husband somehow lost his grip on him), and shook it off as an irrational fear. Then I noticed that I was surrounded by several ladybugs (more than ten). I’d never seen ladybugs on the beach before, much less so many. Of course, later I found out about my mother. When I traveled to North Carolina to arrange her funeral, I found myself in a moment alone driving a rental car and I had a complete sobbing breakdown. I actually needed to pull over to deal with it. As I looked out the windshield, I saw a ladybug sitting on the windshield wiper. And I immediately felt better. Like my mother was sending me a sign. A few months after that, I was thinking of my mom once in my home (in Missouri), and I saw a ladybug crawling on the inside of my window. Just in the past week, I was told by my fave psychic Jesse (love you!) that my mother was going to be making herself known to me with more and more signs in the coming days. How very interesting, I truly do believe that the yelling of your name was to get your attention, remember pay attention to every little detail they mean something. The manipulation of your name spelling being backwards, is also a message to perhaps look at your life as an opposite of what may be going on deeper in sites. What a Beautiful story I love it, animal and insects have a way of changing our vibrational energy, actually taking any negative emotion that we may be caring and switch it to a positive one. They also have the ability to activate DNA cells past and present. What a wonderful gift this precious Lady Bug gave to you, and especially the fact that you gave thanks will invite more to come! It sounds like this is it. You have heared with your”inner” ears. That is whar clairaudients do. Our guides are always there to give us signs, but sometimes we try so hard that we miss the actual signs.If we focus in a different direction, we might miss what is in front of us. You don’t need tokeep “trying” you just have to keep “doing”it. Thank you for sharing this touching experience. I really feel that it is a sign for you and that you will see more of these signs. You are definitely on your journey of self discovery. Enjoy! Just let it go don’t try to force it and it’s going to just keep revealing stay open do not think about it be patient grasshopper. I think that was just awsome! My main guide has been sending me animals for years and some times ones that make me go ick LOL. The ladybug is hope & inspiration that all will be well. I’m going to keep trying! I think that is a great experience and such good luck for you. What a great guide–the lucky ladybug! Possibly an opening to other guides you may see and be more aware of in the future. Thanks for sharing your uplifting experience. What a wonderful story….I too love ladybirds….unfortunately I haven’t seen one since I moved from a home I just loved 2 years ago. The tree outside was covered in them continually.